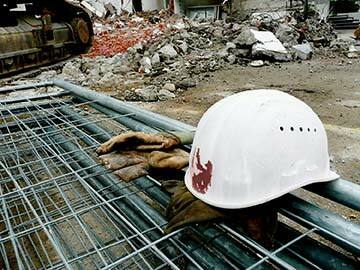 Workers are frequently injured while working for large corporations and small businesses and construction sites. American, industries, as you know, are numerous. The hospitality industry, movie industry, imports and exports industries are just a few. In all these industries, employees get hurt on the job. Even indoor office jobs can lead to injuries such as carpal tunnel syndrome from typing or a broken ankle from slipping on a wet floor. Construction worker injuries are especially common. In addition to other types of claims which are commonly referred to as "third party claims," if you have been injured while in the course and scope of employment, you probably have a workers comp claim. Workers' comp law may allow you to recover workers' compensation benefits. These benefits help replace lost wages so you can support your family during times of crisis. Work injuries can be particularly devastating because they put an employee in the uncomfortable spot of trying to get money from his or her employer while being unable to work and scared of losing his or her job. Workers' Compensation law is designed to allow an injured worker to recover regardless of whether the employer was directly responsible for the injury or not. Workers comp is, in essence a "no-fault" law in that even if the employee is "at fault" for their injury, this is not relevant to your right to work comp benefits. Cases where workers' compensation does not apply beuse of the nature of the specific type of employment, i.e., Maritime Injuries and FELA Railroad Injuries. As indited above, if you get hurt on the job in, then you should be entitled to comp benefits when you make your comp claim. However, there are some instances where you may not receive comp benefits. Some examples would include employee fighting at work or doing something clearly outside of the scope of employment, like getting shot while trying to complete a drug deal at work. As long as the injury was (1) incurred within the course & scope of employment and (2) the employer maintains workers comp insurance, the injured worker will be entitled to payment. Each state has its own Workman's Comp laws, but they are usually similar. If you or a family member has been hurt on the job or has suffered a workplace related injury, please contact one of the experienced Workers' Comp lawyers listed on this page to help you get through the complited paperwork and red tape associated with claims for workers' compensation benefits. A work injury attorney will assist you in many ways, and always works hard to make sure that the right type of claim is filed in your case. For example, your work injury lawyer would make sure that federal government employees injured on the job seek recovery through federal law and the Department of Labor rather than just state laws. Federal law provides injured federal government workers, such as postal service workers and FEMA employees, federal workers' compensation for injuries occurring on the job or as a result of their employment with the federal government or a branch of the federal government. The federal workman's compensation scheme works similarly to how state law allows workers to recover Worker's Compensation from their employer. This federal workers' compensation program is run by the Department of Labor. The Department of Labor also administers the Longshore and Harbor Workers' Compensation Act (LHW), which provides compensation to longshoremen and other such workers if they are injured on the job. If you are a resident working for the federal government and you are hurt at work, contact a work accident lawyer as soon as possible to discuss the options available to you. What Can a Workers' Compensation Attorney Do if Your Employer Doesn't Have Workers' Compensation Insurance? Most states have laws requiring that nearly all employers purchase Workers' Compensation insurance. Even small employers are required by most states to buy Workers' Compensation Insurance. Those that do not purchase insurance can be held responsible for paying the full damages suffered by their employees. You may be able to recover more if your employer does not have insurance, but typically you will need to hire a Worker's Compensation lawyer beuse you are likely to encounter a legal battle if your employer has no workers' compensation insurance. What is the Deadline to File for Workers' Compensation Benefits? Every state has a different deadline for reporting an injury, filing a claim, and bringing a law suit. Injuries should always be reported as soon as possible, and you should speak to a workplace injury attorney as quickly as you can to preserve your rights.